Join us next week in Washington D.C. where ICAN will contribute to several events on development, economics and extremism as part of the World Bank Fragility Forum. We are excited to be hosting our partner and member of WASL, Ahlem Nasraoui, founder of the Young Leaders Entrepreneurs. 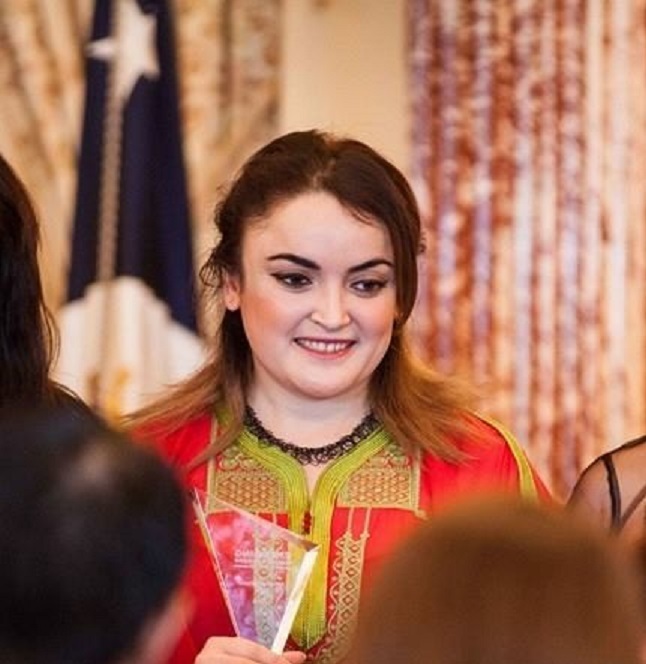 Ahlem will represent WASL during a session organized by the Prevention Project on “The Role of Development Institutions in Preventing Violent Extremism” where she will share her experience in social entrepreneurship and peacebuilding in Tunisia. ICAN’s Executive Director, Sanam Naraghi Anderlini, will be speaking on a panel organized by the OECD DAC INCAF network on “Women’s Empowerment and Gender Equality in Fragile Situations”. 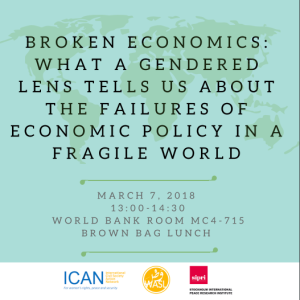 ICAN and the Stockholm International Peace Research Institute will host a brown bag lunch on “Broken Economics: What a gendered lens tells us about the failures of economic policy in a fragile world”.